As of 13 April 2019, the Living Composers Project contains information about 4658 composers from 99 countries, with a total of more than 300,000 works. The project is the result of thousands of hours of work contributed voluntarily by curator Dan Albertson over the past 20 years, in consultation with various colleagues throughout the world. creating sustainable links between composers, specifically with regard to the philosophy and offers of the Villa of Composers. 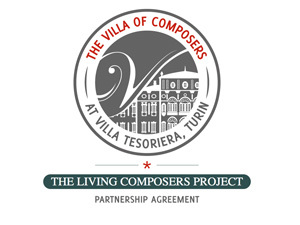 The LCP and the Villa of Composers embarked on their partnership in 2015.
the Villa may send out information, in coordination with the LCP's curator, for the attention of listed composers. This process is currently underway and will be announced on both websites once it is fully up and running.